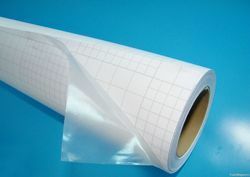 Our range of products include cold lamination films. We are a profound organization engaged in trading and supplying a quality-assured range of Cold Lamination Films. These firms are used for various purposes and are in great demand these days. The raw material used is of very high quality procured from the most renowned vendors of the industry. This product is available to the customer at market leading prices and within the time specified.